Today at approximately 1 PM on Saturday 2nd August, Palestinians from across the West Bank gathered in the village of Rafat near Ramallah to mourn the death of Ada Naafz Jabr. Ada was killed by Israeli forces on the 1st of August near Saffa while protesting against Israel’s attack on the Gaza Strip. After the funeral, Palestinians spontaneously marched to and proceeded to destroy a section of the Apartheid fence. Israeli police arrived after several minutes and clashed with Palestinian youths. 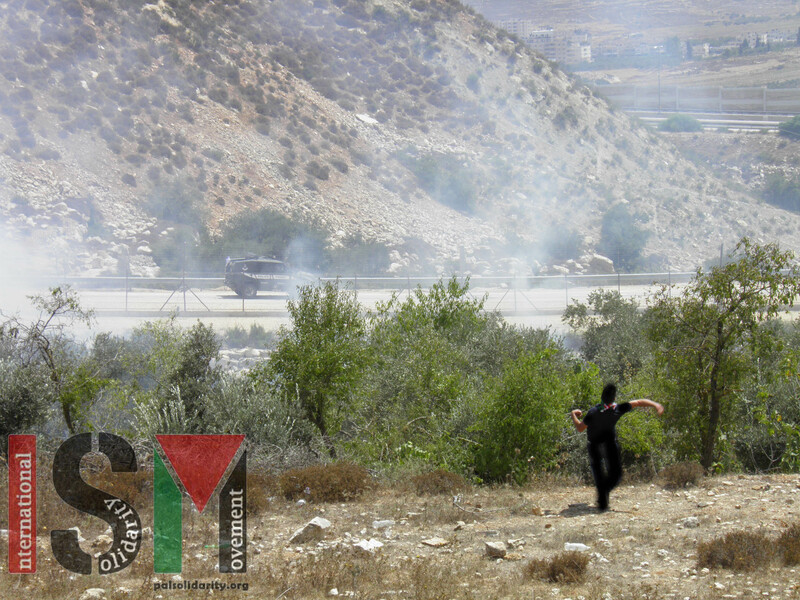 Palestinians threw stones while the police fired larges amounts of tear gas, which caused numerous fires to break out amongst Palestinian olive trees and crops. 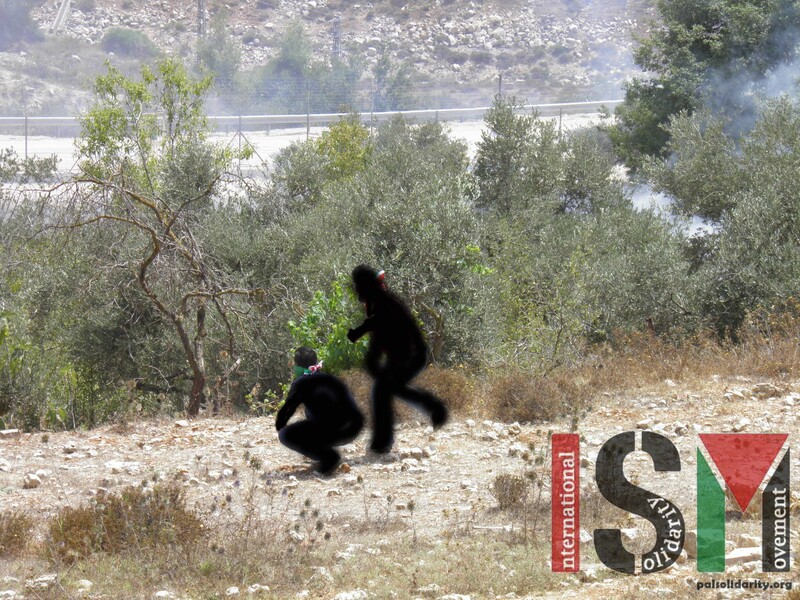 Palestinians and international activists attempted to extinguish the fires, but their work was impeded by the Israeli police who continued to fire tear gas. 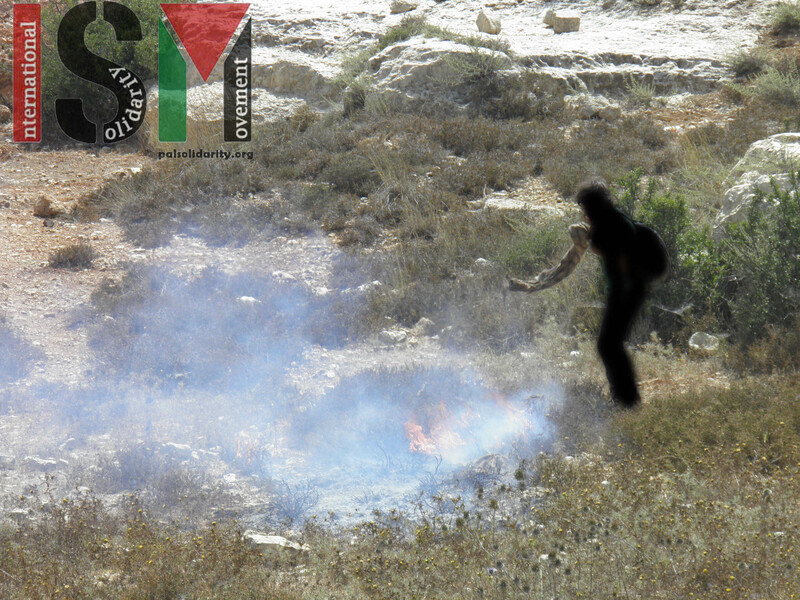 After around 20 minutes the Palestinian fire brigade arrived to help extinguish the fires.